Question 1: 1070. Oh! Jennie if only you had this first one correct your entry would have been early enough for 1st. prize. Question 2: 18th. June 2011 Kamiak Butte. As Kamiake is in Washington state, washington is acceptable as to the "where" part of the question. Question 3: Kialynn and her granddaughter Alana visited us. Question 4: The first blog post was indeed called "The Plan"
It sees to be the ladies who have come out as winners. In first place we have Carol and in second Antinady. Both have put in all correct answers but first to enter an all correct entry has been Carol so she has the honour of claiming first prize. Kevin Too , you let yourself down by not entering the place we got married. That entry would have given you first prize because of the early time you put in your entry into the comments box. Ok Carol let me know how you would like to receive your prize, the book. 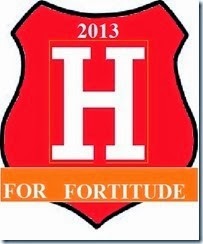 Antinady you get second prize of the horse brass please do likewise and congratulations to you both. As the calendar ticks over into December Christmas is just 25 days away. Having a little tidy up amongst what Jaq calls my "man" storage areas she has kindly allowed me on board Nb Valerie I have come across two items surplus to my requirements. I have decided to have a Christmas competition with these two items, pictured below, as prizes. 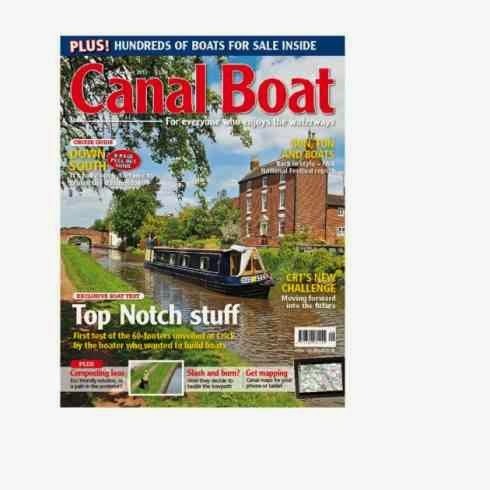 First prize; in excellent used condition in need of a good home an interesting read of several different canals including London. Second prize; Likewise also in need of a good home a horse brass. Question one: The first blog post I did was published on March 8th 2005. So far it has run for approximately 142 months. How many blog posts have been published in this time. 750, 1,000, 1,250, 1,500, 1,750, 2,000. Point for nearest guess. Question three: August 27th 2012 who visited Nb Valerie. You do not have to phone a premium rate phone number that will close at a certain time but not enter your entry but will still charge you. It`s all just a fun thing with genuine prizes. The competition will run for about two weeks, during which I will remind people to enter, and the entry`s closest will be the winners. All the answers can be found within the blog even question one if you feel like sitting down and doing some serious counting. The editors decision is final although windlasses and mooring pins at twenty paces on the towpath at Rugby could be a decider if the editor gets lairy. Prizes will be posted out worldwide if winners supply an address via our E Mail, (not in comments box please). Winners can remain anonymous if they wish, personal details will not be published. Use the comments box for your answers as first in the box will be the leader in the case of two identical winning entries. Any other rules you can think of will be taken into consideration by the judges(me) so will have no influence on the result at all so just don`t bother protesting. The weather forecast for this part of Britain is COLD moving in today from the northeast and becoming COLDER over night. We put it off long enough: time to cover the windows with plastic to create a double glazing effect which stops drafts and shuts out the cold. I washed and dried the windows and Les cut the tape, peeled away the membrane, meaured and cut the plastic sheeting to fit and wrestled it on to the windows; I followed along behind with the hair dryer, tightening up the plastic. By the time the first five windows were covered the change in termperature inside our floating home was amazing: dry, deliciously cozy, still; like the warm breath of a lover next to you in bed at night. As Les tidied up the scraps I fixed a pot of South Western Chile Cheese Potato Soup. This is potato soup with chunks of onion and green peppers sauteed in ground cumin, garlic and butter and added to the potatoes cooked in milk. Some Creme Fraiche or sour cream, salt, pepper, chopped green chiles or for those with a hankering for a real fire in their belly, several spoonfuls of diced jalapenos, simmered for thirty minutes and topped with grated cheese. Mmmmm good! On our personal health front Les is experiencing more prolonged aching and pain across his buttocks and lower back which we will have sorted out this week with a change in drugs. The nerve pains he was experieincing have been addressed by Pre-Gabbeline, and liquid morphine is used for breeak thorugh pain. He uses one crutch to get around now but seldom lets anything slow him down or stop him for long. I had my right knee replaced on the 26th of November at Warwick hospital. This time there was a considerable bit more pain and my leg muscles are all tighter. This all has to do with my right S-I (Sacro-Iliac) joint which keeps popping in and out. I was doing well though, until the bandage came off and an infection set in to the incision. Before I could say "Damn Gina" Les had me in a taxi to Stoke Mandeville hospital A & E where in under three hours I was sorted with blood tests, an x-ray and a determination: The infection was just getting started and hadn't reached the joint so that was good news. The bad news: a ten day treatment of antibiotics Doxicyclene. Me and antibiotics don't get along. By day three my gut had shut down as all of my billions of healthy gut bacteria died in agony: I felt and grieved each extinguished cell as nausea and dizziness gripped me all day long, allowing me an eight day diet of water and yogurt. Of course by day seven I was blessed with a full flung yeast infection and no tub in which to soak. Sponge baths and showers every four hours are not quite the same but they do provide some relief. This infection knocked me for six and put my recovery back about a week and half. All I want to do or seem able to do is sleep in between short bouts of boat cleaning to keep on top of laundry, dishes, dirty floors, etc. Les has been willing and able to hold down the fort with the help of occasional rides from friends and local boaters to town for prescription refills and groceries. 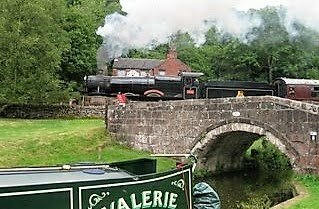 NB Valerie goes in to the marina on Monday next (December 5th) for three days as she is blacked, inspected, and a couple of other projects are undertaken for us by marine engineer Darren Killick. Our fancy hotel in London is booked for those three days, having used all but two of our 63,000 Avios airline points and £150.00. We are going to take a boat trip on the Thames, and we have a list of London peculiartities we want to find from Simon Leyland's book A Curious Guide to London. We will bus hop as our energy allows, Les with his crutch and me with mine. We will enjoy recovering in the large tub back at our hotel and eating meals prepared bysomeone else. At some point when I feel better I will undertake a post with pictures to show everyone all the work Les has done since August to tackle the long list of projects and issues which needed attention. Jaq gets to grips with the boat stove. As we all know Jaq is trying to absorb as much information from me in relation to the maintenance that she feels confident in tackling on board Nb Valerie when I`m not around any more. The multi fuel stove seemed a good place to start as fires are being lit aboard boats all over the country at this time of year. 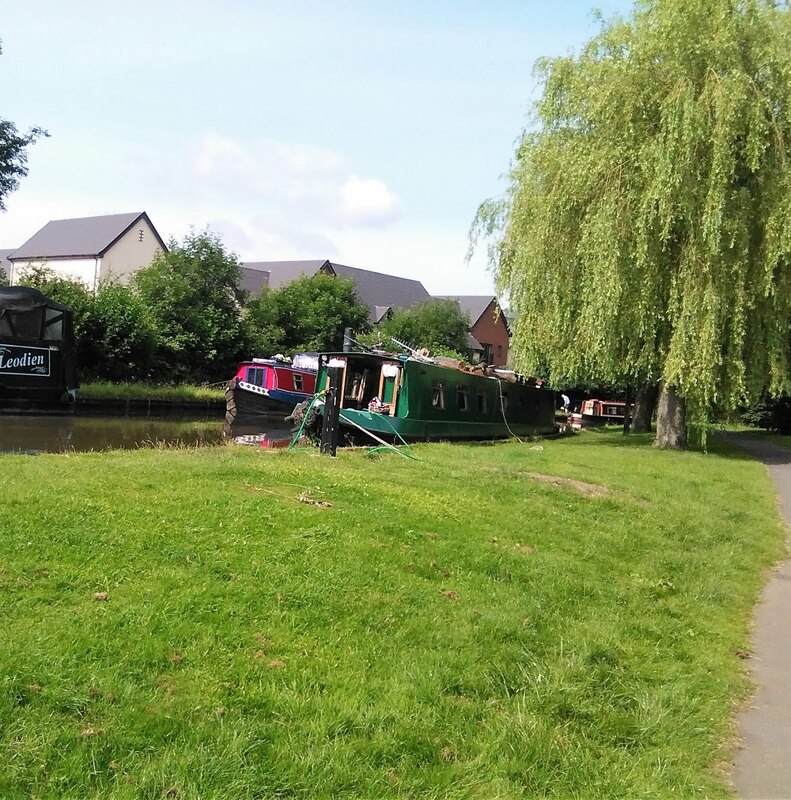 I always carry out some maintenance about this time that includes checking that the silent killer, carbon monoxide, that has no taste or smell is prevented from entering the boat and is in fact safely using the chimney as an exit. Every year I dig out the loose fire cement around the joint where the chimney pipe enters the stove. Don`t go mad you only need the loose pieces that an old screwdriver will pick out with minimal effort. Put some masking tape around the pipe for a nice neat finish. Fill the gap where you removed the loose fire cement and with a wet finger, not a hand Jaq, smooth the cement and remove the tape. A very tiny fire will cure the cement and if you wish, for cosmetic reasons, you can give the whole stove a coat of Rustins high heat stove paint. Next the inner chimney needed replacing and You can just see a new one i`ve made inside the boat outer chimney. Jaq is holding a spare I have made that will probably be in service after the present one has done two winters. I have covered the making of this inner chimney HERE so will not go into it again. This will go with all the other spares I have under the dinette so at least if Jaq does have a problem at least she will have the correct parts to hand and will just have to find someone to fit them. A spare stern gland is ready to fit as is a P.R.V. valve with quick fit pipework attached plus many other spares. Who knows perhaps I might be able to watch over her but not physically help, bit of a pain this dying lark. Perhaps somewhere on my new Windows 10 programme there`s a cancel button or at least a delay button to allow Jaq more time to learn, now that would be quite something. the last time I was lucky but this time two of the studs decided to shear off leaving half the threaded stud in the door. The door is cast as opposed to the steel stove casing and the advice on the internet from other boaters is to not try drilling and tapping a new thread but to drill straight through the door and use new bolts that will be easier to undo in future. The studs circled in Red are the culprits and in the lower of the two pictures you can see the bolts seen from the outside are not to conspicuous. Having fixed the glass in first job was to buy a spare even though it might be years before it`s required. Not really a job I would expect Jaq to do although if all four studs had been drilled through I have no doubt after watching me she would be quite capable of doing the job. Talking of spares if anyone has one of these pumps I have a service kit sitting gathering dust. This is the pump I recently replaced with a Whale Gulper that requires no filter and so becomes a fit it and forget it pump. The filter was a pain to get to beneath the hip bath and is now something else Jaq has no worries about cleaning practically every month. This pump was 11 years old when I took it off, still working with no problems. So if anyone is interested in a service kit for this pump contact me as the Whale Gulper is here to stay and the kit is not going to get used. 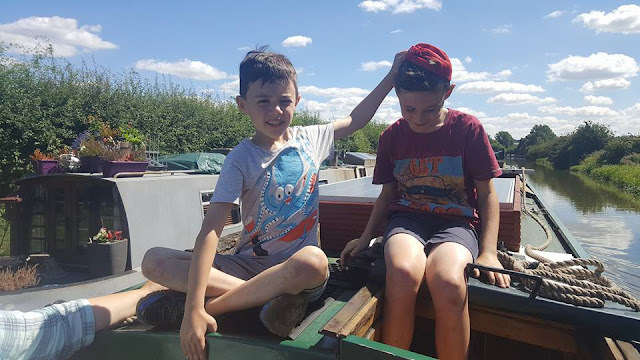 My last foray into the world away from the boat was laid out in my last blog post but omitted the missing houses that son Kevin and I had a nice leisurely stroll to from the Paddington canal basin after seeing the two bridges in operation. Just a 10 minute walk along Praed street will bring you to 23/24 Leinster Gardens W2 3AN. "A curios guide to London" by Simon Leyland first caught Jaq`s eye in Tring library some two years ago probably about the time I was having the Liver surgery. With my recovery in mind she purchased the Kindle version from Amazon so that we could seek out some of these London oddities but this one, the missing houses, never did get a visit. The story behind this is in 1863 the Metropolitan Railway opened the first underground railway in the world and operated it with wooden carriages and steam locomotives. The tunnels were dug on a cut and fill system that needed somewhere for the smoke and steam to leave the enclosed tunnel system. A trench would be cut and the roof added and on top it was filled to the level of surrounding ground. 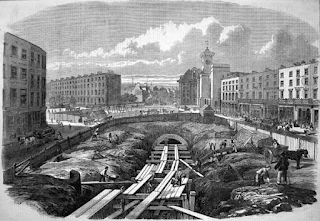 At Leinster Gardens Paddington the final filling in was not completed so that the steam and smoke could escape. The result is the front facade of the houses are identical but at the rear in Porchester Terrace is just empty space. Mr Google showing the false fascade at the front. The dummy windows are the four rows of three tucked behind the trees. The book has many oddities and curios and we hope to be able to find more when the boat is blacked as we will not be able to stay on the boat when it is pulled out of the water and under cover. What we have discovered is the Tesco points we had converted to British Airways Avios points for tickets to the states next May can be used for hotels and west end shows in London. So with no financial cost we can get a decent hotel for three nights, perhaps see a couple of shows and seek out some more of the book`s curios. This will be early December so hopefully all will be well health wise. I guess many of you are wondering how I am health wise. Well at the moment my morphine intake has been increased slightly and an extra tablet for nerve pain has been introduced but I am still having pain at various times of the day, nothing regular so not easy to see a pattern such as when first getting up in the morning. 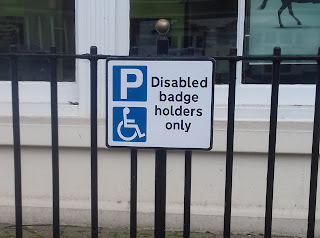 Anyway as I type this I await a visit from the hospice nurse who is able to prescribe and also is in close contact with a palliative care consultant at the local hospice hospital. Quite often I sit and feel nothing is wrong, by that I mean there is no cancer and my 6-12 months of living was just a dream. Sadly I know that`s not true. But the good thing is if this feeling continues then my time I feel could extend to who knows when. Of course I do bear in mind that just because the pain is controlled our cancerous man is still working away inside of my pelvis but I honestly do believe my attitude to this disease will see me around longer than time predicted. "It is what it is"
A few links now to finish off this particular London curio. Just googling 23/24 Leinster Gardens or Metropolitan Railway construction 1836 will bring up some interesting articles and possibly better pictures. 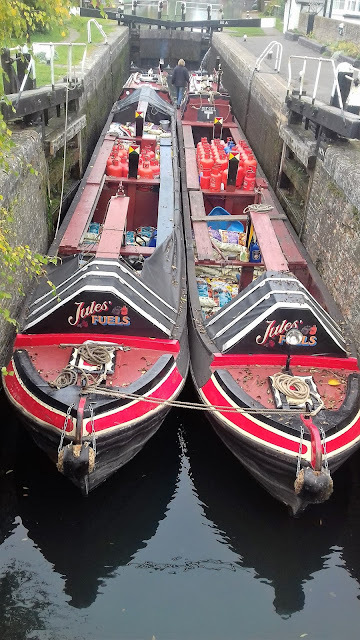 Just to keep the blog boaty Jules fuels crewed by Julia and Richard have just delivered diesel and coal to Nb Valerie and are heading south through Cow Roast lock. Being able to get out and about with the help of modern day drugs is a bonus that keeps me sane. 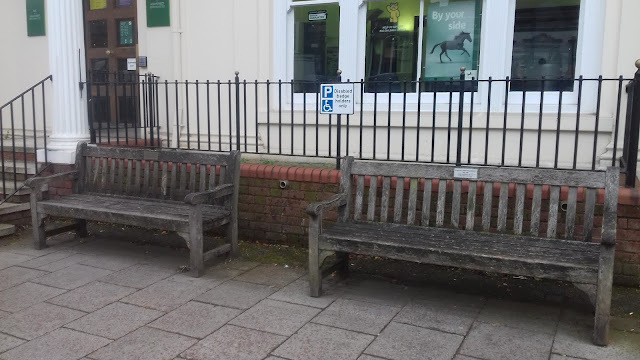 Couple of nice benches outside the bank to rest my aching bones while waiting for the bus home. The sign(left) gives the impression that pedestrians are now needing a permit to stop in a restricted area or risk a fine. Our friend Google shows things a little differently. It just made me smile so just thought i`d share it with you. Now with my senses being greatly affected by Morphine my writings at times might seem strange, I`m sure you understand. Every morning we have the pleasure of a Cormorant arriving outside of the boat and having a very successful breakfast hunt below the surface. A couple of days ago two cormorants appeared together which is not rare but not to common. My fuzzy brain got me thinking along these lines. If you wake up in the morning you might ask your partner if they want tea or coffee or would he/she like some toast put on, communication. So how did these two end up outside Nb Valerie together diving for breakfast? How does one Cormorant tell the other about a swell breakfast bar on this section of canal. Yes you could say I have too much time on my hands but as we know that`s not true. I just put it down to looking at everything so differently through eyes now affected by the wonders of modern day painkillers of course. By far my best out and about day of late has been with son Kevin. Having spent the last part of my working life around Park Royal, a very large industrial area in North West London I wanted to have a look around and see how the last 12 years have changed the area. Kevin is familiar with the area as he often accompanied me in the school holidays. I decided to make a day of it and call in at Paddington Basin and show Kevin the newly installed Fan Bridge plus the long established Rolling Bridge. Also we could visit the house where I spent the first 18 years of my life. As a bonus we would have lunch at a typical fast food wagon that also has an indoor diner that features in the BBC programme "The Apprentice" named "La Cabana". Who knew when Kev and I had our lunch break at La Cabana it would one day be part of a TV series. Park Royal was also a location in the mid 1990`s series 9/10 for the lock up featured in Minder that starred George Cole as the wide boy and many others as "the minder" over many years the TV series ran. George Cole was always ready to chat as he sat in the doorway of his mobile dressing room and Kevin just felt so important sitting drinking Orange juice with George, happy days. Lots of other filming went on during my total of twenty years working in the area. Start with the Rolling bridge, video is in the link above. Next is the Fan bridge, again video in link above. A few shots around the basin as we leave what is a very busy lunch venue for the office workers located here. Now we are off to the house that was home for my first 18 years of life. Yours truly standing outside 23 Lothrop Street, Queens Park, W10. What you see is what you get, yes that`s the width of the 2 bedroom house. A house just 3 houses along from 23 has just sold this year for £850 thousand ($1million, one hundred and five thousand). 832 square feet. Above the Pink line is the Grand Union Paddington Branch. Over to the left the Orange are the moorings at Kensal Green by Sainsbury`s. Just about centre of picture the Blue marks Lothrop Street. with over two thousand houses on the estate that is some valuable piece of ground. As you can see from the floor plan on the left the whole property is just 15 feet wide and the whole property including the garden is only 70 feet deep. Bedroom 3 I have marked is to be ignored as ours was a two bedroom house. Toilet was outside and as you can see on this 1867/77 plan no bathroom. A tin bath in front of the fire in the room marked kitchen was the personal hygiene dept. Not sure when the bathrooms were added but it must have been nice to have running hot water and a proper bath to soak in. The extensions were built across the sections marked larder and w.c. Understandably there have been many visitors to the boat in the last two months that we have been back down on the southern Grand Union. It really is lovely to see everyone but it did get a bit overpowering and very tiring. So the solution was to keep a diary. This had to include not just friends and family but nursing staff from hospice and my GP surgery even the GP`s visits had to be listed. 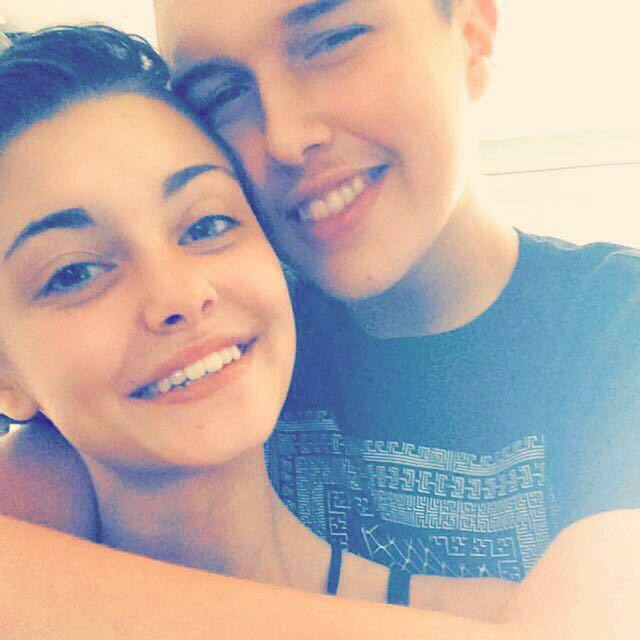 Also added to the list were me and Jaq`s trips out for instance several trips to the local cinema and various lunch dates plus my trips out sourcing bits and bobs for the little boat jobs I was slowly completeing. It works just fine and now at a glance we can see if a particular day or run of days is becoming exceptionally busy. 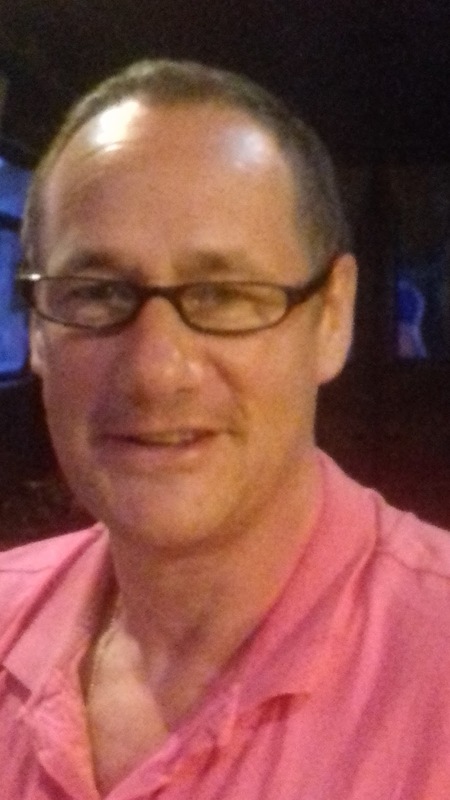 Having said that it`s always nice to see folk but some pre contact would be most appreciated. Daughter-in-law Joanne with grandchildren Lena May, Kiernan, and Kiera. 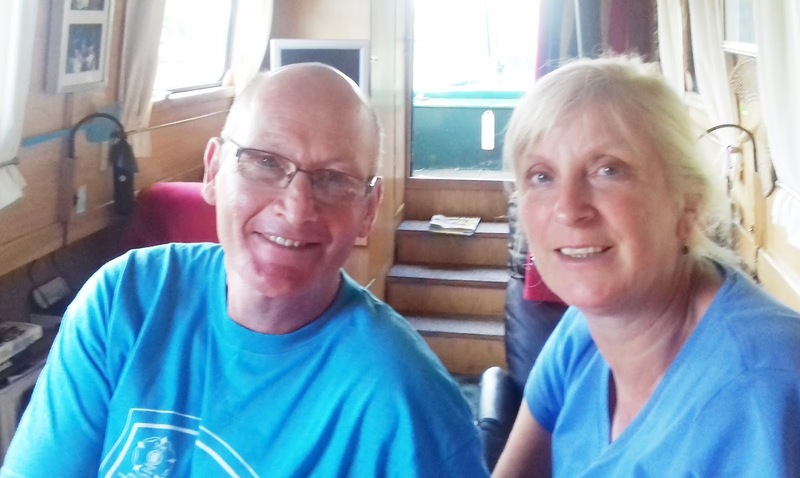 Tony and Helen from NB Holderness. 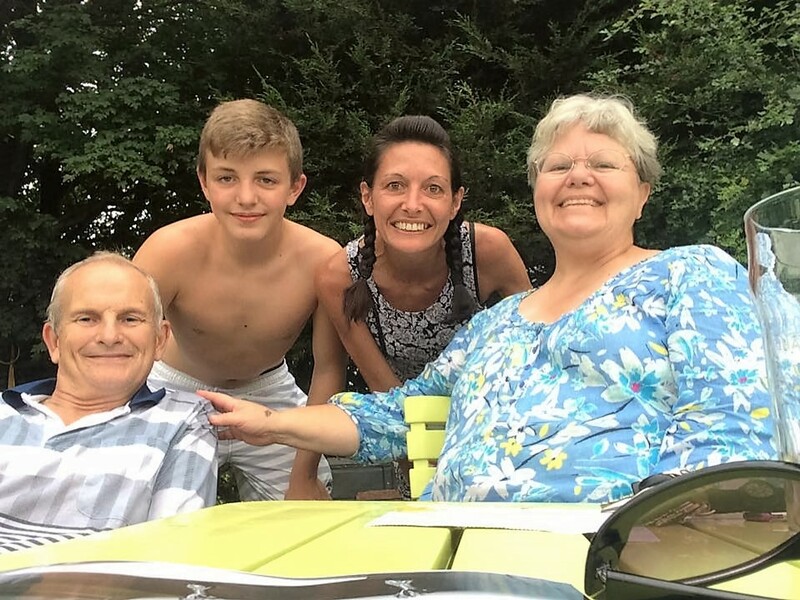 Above, daughter-in-law Bev and grandson Jack; below is granddaughter Jordan and her boyfriend. Marilyn and David off NB Waka Huia and to the right George and Carol off WB Still Rockin. Robert who owned WB Wind in the Willows, moved to Brasil and married his heart's love, Maria. To have him turn up during a UK visit was fantastic to say the least. Andy and Tina, ex cruising partners from my solo boating days and now very dear friends, on one of our many get-together dinners. Sue off WB No Problem XL who took the trouble to travel by train from the River Thames. Thank you Sue. All the pictures of me are no more than two weeks old so don't shy off thinking I'm wasting away and you're likely being greeted by some version of me from the past. Yes a little bit of weight loss but nothing drastic. What a name for a blog post eh! But that is what I am doing so I'll try to give some insight as to how I do it and what my feelings are. I won't go back over the history of the Cancer and my diagnosis but new readers can perhaps start back HERE in August 2013. 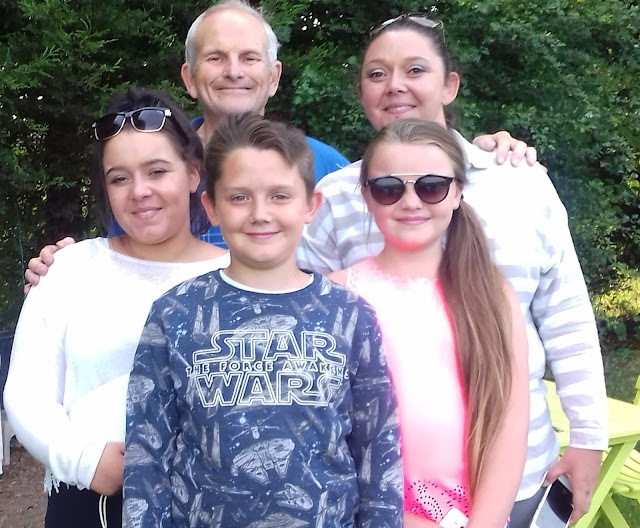 If you trudge through the years you will find the bowel cancer left me with a temporary stoma, that still to this day protrudes from my abdomen, metastasized to my Liver then moved into the lungs and now has locked itself away in my pelvis never to be shifted. I remember writing at the time of feelings which "ranged from disbelief to astonishment with a lot of fear mingled in." There was certainly no reason for the two former feelings as in 2013 41,000 new cases of bowel cancer were diagnosed, which would seem to indicate that bowel cancer is a lot more common than we think. As for fear, I don't care how tough you think you might be there has to be fear floating around somewhere inside of you when you receive a diagnosis of cancer especially when terminal. How one responds to a cancer diagnosis depends on lots of factors including whether the diagnosis offers a realistic chance for recovery or is terminal. Personally I remember thinking "okay I have cancer, not been told it's terminal at this stage remember, and the surgeon will cut it out and all will be well." To me that was the only way to be, no good laying down wailing and moaning. On our bedroom wall we have a sign given to Jaq in 2008 when she had stage 3 ovarian cancer. This was and continues to be one of Jaq`favorite sayings. 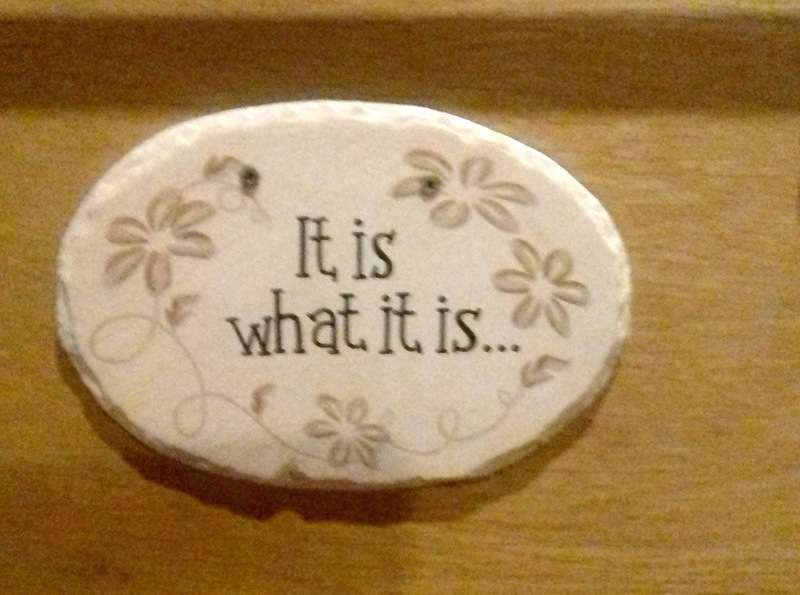 It certainly sums things up for me as well: "it is what it is". No good moaning, protesting or sobbing so take a deep breath and let`s get control. I honestly believe that we are all playing a game that began when we entered this world-- the game called life. 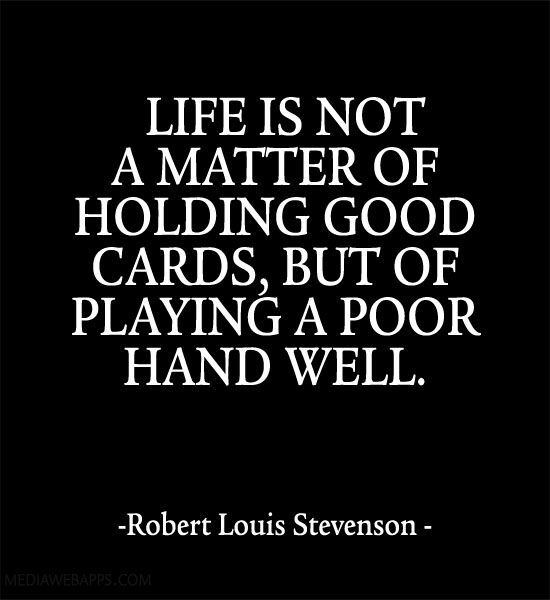 Each of us was dealt a hand of cards, some having a better hand than the next person. If your cards meant you were born into a wealthy family you stood a solid chance of a stress free life with an excellent diet and access to good health care with the high probability of a long life. At the other end of the scale your hand could dictate the opposite although there are always exceptions so this is just a general view. You could have the former hand but play it badly and lose any advantage. 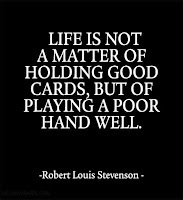 The latter poor hand could be played well to advantage but how many of us do that; we generally just float through the game of life without a care in the world until "crash bang wallop" that word cancer or some other personal tragedy raises it`s ugly head. 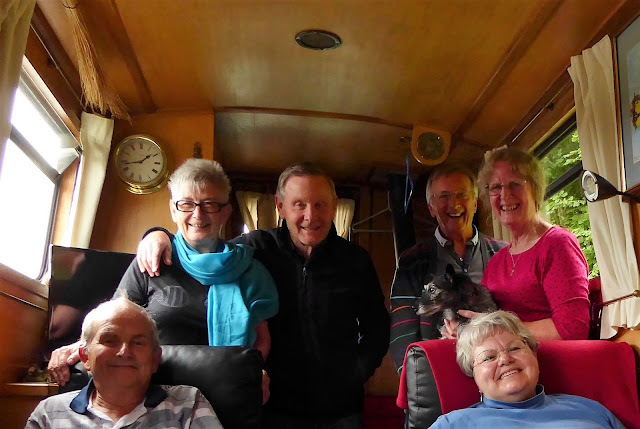 So here we are having turned back from our summer cruise to meet friends from the U.S. in Chester and I have decided yes "it is what it is" and I will just get on with it. First thing on our return south was to get linked up via my GP with district and hospice nurses. I cannot stress enough how important this is. Jaq`s last post detailed hospice care and services of district nurses. 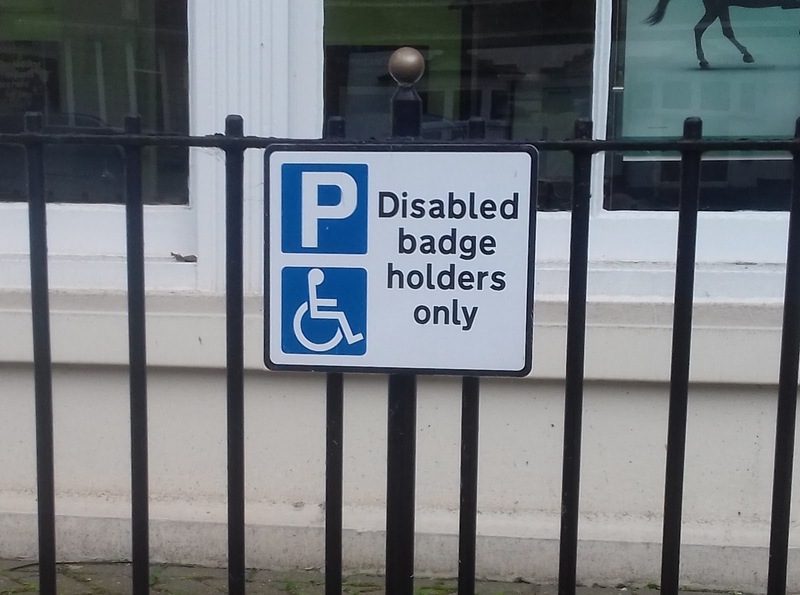 Between the GP and hospice nurses my pain control was soon sorted quite often without the need for visits to my GO and now I can have a life that allows me to be mobile and get a few small jobs done. I manage to get out and about now which means being able to jump on a bus into town. This might not sound like much but after going through the severe pain of what I first thought was a back problem I can promise you it is superb. The only indication I have of anything wrong is the very slight ache around my lower back that makes me shuffle along but this is to be expected as the cancer is in my lumbar spine and pelvis. Visitors including regular visiting nurses are impressed how well I get around. Waking in the morning is usually pain free after laying in bed all night but after getting up and moving around it becomes uncomfortable within about 20 mins. It is soon time to take my second round of 12 hourly Morphine slow release tablets. After moving around a little things settle down and the day begins after breakfast once the pain meds kick in and I am able to move around in reasonable comfort once more. Now don`t think this sounds good because if you look at Jaq`s last post the ambulance personnel are carrying me along the tow path. The incident was a stoma blockage made worse by the morphine I`m taking which causes severe constipation. A day at the hospital and some strong intravenous drugs settled things down enabling me to return home. Back to my typical day and every little job takes many hours more than it did previously but I have now adjusted to this so I rest a lot whilst doing each job. It has to be this way as I have learned the hard way not to push myself. Trying to do too much means I end up in pain for a couple of days with a lot of Ora Morth being consumed. Anything requiring measurement needs Jaq or someone to oversee as my brain is under the influence of Morphine and mistakes have and will continue to happen. Perhaps I might do a little blog of some things being done on NB Valerie, not all by me as a lot will be done by a local trustworthy engineer. One is the rear sliding hatch converted to slide on rollers. My problem is not having the strength to even lift the hatch off. Another is the metal engine cover that Jaq can`t lift and neither now can I. Some of these jobs I talk of need to be actioned as Jaq will be on her own after I die and move on to.......Mmm! Now there's the making of a very long blog post so let me just give my thoughts. I would hope that in the big marina in the sky I would be able to meet up with loved family members and friends who have passed ahead of me; now wouldn't that be something! I also hope to be able to watch over those left behind purely in observation mode. Whatever you personally see or wish for as an afterlife may I just say it's your dream my friends so make it as big as you want. How many of us ever think of how or even where we might like to die? It certainly never crossed my mind other than the odd conversation which might end up with "I just hope it's quick". Now living with a death sentence these things become more important and need consideration. My choice for sure is not in a hospital but perhaps a hospice if my condition deteriorated enough to warrant admission. Jaq will make that decision based on how she sees my health at the time. After much thought and consultation with Jaq, the Hospice and District nurses, and my GP , I have decided to sign a DNR: a Do Not Resuscitate order. As I understand it now, should my heart stop for any reason, without a DNR in place the paramedics and medical professionals are duty bound to attempt resuscitation which breaks ribs, can puncture lungs, and do other serious damage in the service of returning a patient to life. But what quality of life is the issue for me at this point. The nurses have explained that it is highly unlikely I could be resuscitated but in the event it did occur, I would never be well enough again to return to NB Valerie. I would spend what time I had left in hospital, hooked up to lines of fluids and narcotics, and that is not how and where I want to die. Hopefully my last days will be in a state of pain free sedation leading to complete unconsciousness with the only outward signs of something wrong being a change in breathing pattern. This will all no doubt follow periods of appetite loss and long quiet periods of sleepiness. They say hearing is the last of the senses to fail so be careful what you say in front of the man you think is just resting his eyes. Or as Jaq used to say to the grandchildren as they shut their eyes for a nap in the back of the car on the journey home to mom,"are you checking your eyelids for holes?" At the moment my chosen place to pop my clogs is the dinette on the boat that converts to a bed. As time goes on, or as the predicted 12 months left of my life ticks away, I will no doubt find myself confined to the boat. Of course that 12 months was just a guess by the Oncologist based on previous patients and I fully intend to extend that as much as possible. The dinette will give me a good view of boats passing by and a decent view of the tv as I while away remaining time watching some dvd's. It will also keep me in the main part of the boat to talk to visitors and not be shut away in the back bedroom which is narrow and dark. I see Jaq and I spending a lot of time laying on the dinette, holding hands and chatting about anything and everything. Of course all this might never happen, only time will tell. One thing I am certain of is the people caring for me will always make sure my pain is managed although this could well mean my slipping into a comatose state brought on by high doses of pain control Morphine. I did see this with my late wife Valerie in 2000 when Pancreatic cancer took her just a few weeks after diagnosis. Tesco moorings in Rugby and I was walking back to the boat from the rubbish bin. Suddenly it occurred to me that it's highly likely I'll never pass by here again and this would be the last time I saw this place. I had such a strange surreal feeling and stood taking in as much of the scene as I could. I guess to finish up the last thing to mention has to be the funeral. I suppose it is generally more traditional for a funeral director to take control and carry out your wishes or perhaps those of your next of kin. Here in the UK the coffin and deceased arrive at his\her home, where flowers placed on coffin and also on hearse car roof. Mourners follow the hearse to the cemetery or crematorium. After a service in the case of cremation, the coffin moves behind a curtain to be burned after the service. A burial sees the coffin carried out to the grave and lowered into the ground. I think the burial is a more favorable thing because the mourners will at least get to see the coffin going into the ground whereas one doesn't really know how long the corpse hangs around before being cremated do we? My choice is to have the services of a company that will retrieve my shell, cremate it and return my ashes to Jaq. My shell; that's how I think of my body without my soul in it. Jaq will arrange a memorial service for friends and relatives to attend where funny stories and a few jokes will be shared in celebration of my 69 years in this earth. I understand from my wife that our plan for a memorial service is more common in the States. In the meantime I find myself crying, laughing, and having very intense experiences over seemingly trivial things which most of us ignore or fail to notice in our rush forward through life. I am deeply grateful each day when I open my eyes and reach out to feel Jaq lying beside me. I find great pleasure in the contemplation of minor events most people would not even register, as I slowly stroll towards my last breath.